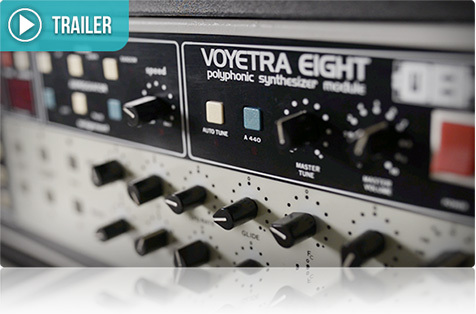 PX V8 is based on an exceedingly rare American polyphonic analog synthesizer, the Voyetra Eight. 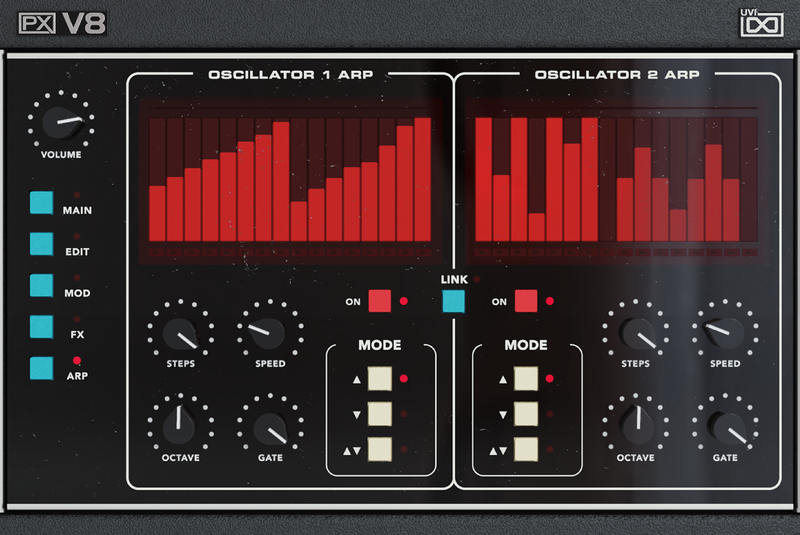 Released by Octave-Plateau Electronics in 1982, this unassuming 3-space rackmount synth is an analog powerhouse sporting 8 voice cards and an incredibly deep modulation system. With 6 pages of parameters to customize the Voyetra Eight was nothing if not flexible, but in the end it's the sound that counts and it does not disappoint. Thanks to subtle differences in each of the voice cards and a powerful unison mode, the Voyetra Eight delivers a wonderfully uncompromising analog sound with rich, powerful leads, thick basses, warm, modulating pads, strings and more. 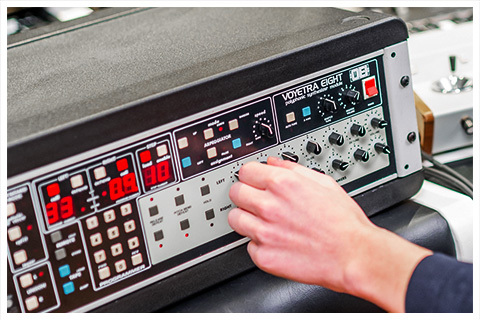 A unique instrument with a sound greater than the sum of its parts, the Voyetra Eight packs a huge analog punch into a small frame that until now has largely been lost to time. PX V8 has been a passion project, it took us 2 years to track down a Voyetra Eight, and even then it required significant work to restore to factory condition. Our sound designers spent over 6 months creating sounds with the Voyetra for PX V8; learning the instruments structure, designing patches, exploring possibilities, recording and editing. We tested numerous configurations of cables and converters to ensure you'd experience the highest quality sound before settling on Vovox and Prism, the results are clear. 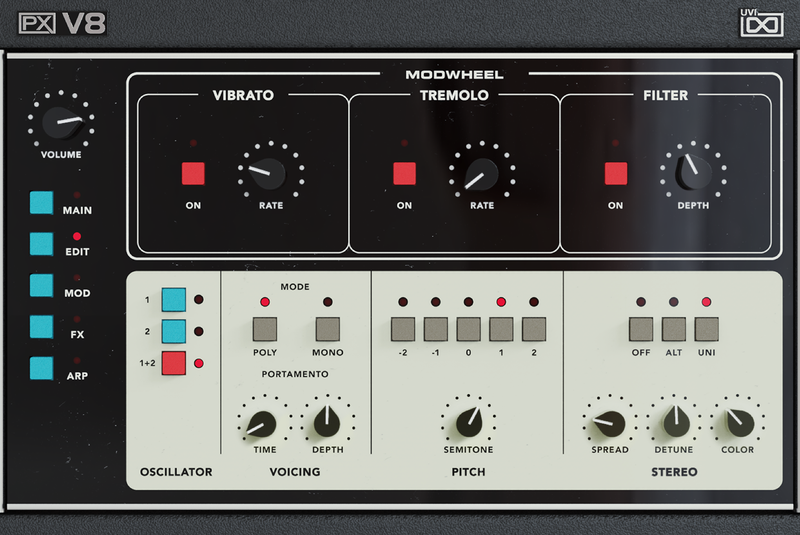 The PX V8 software does not replicate the complex architecture of the Voyetra Eight hardware and is not intended to be used for creating Voyetra Eight patches. 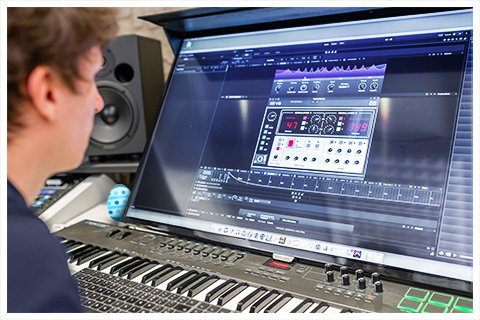 However, our samples embody the true sounds of the instrument and can be manipulated with many control parameters, some of which are not available on the actual instrument. 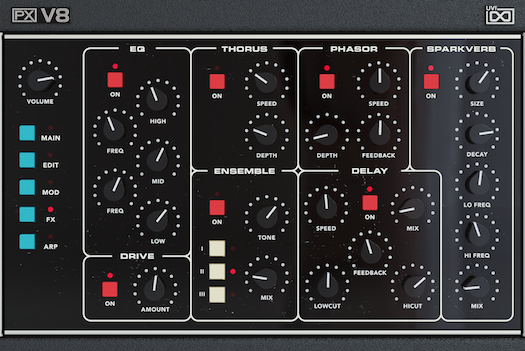 PX V8’s sampling was made per-key for every patch we designed, both with and without unison mode engaged allowing you to enable genuine hardware unison on any sound in the library. 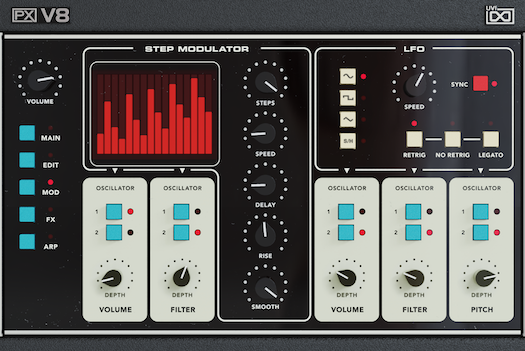 Just like on the Voyetra Eight you can load two layers at once, and with the unison mode engaged you can create truly massive analog sounds without worrying about an 8 voice ceiling. In the end we recorded over 25,000 samples from the Voyetra - packing PX V8 with a whopping 400 presets made from 176 layers, divided into 10 categories including bass, brass, keyboards, leads, misc, organs, pads, poly, strings and waveforms. Each of the sounds is fully customizable and can be used straight-away or as the starting point for a new sound. 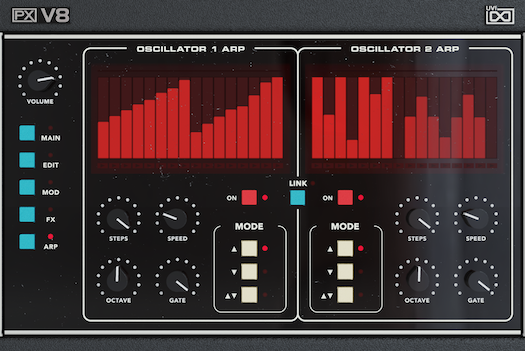 Raw waveforms are also available for those who want to create sounds from scratch. 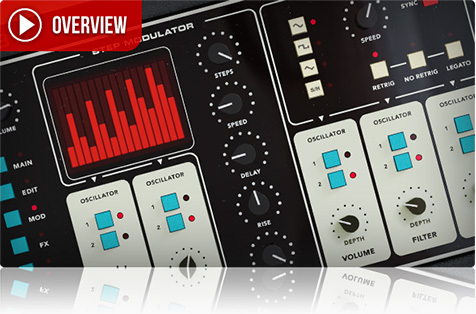 PX V8's aesthetic was adapted to closely mimic design cues from the hardware, giving you the feel of the original instrument as you easily tweak and edit the oscillators, envelopes, multimode filter, LFO and step modulators, dual arpeggiators and a featured effect section including EQ, drive, Thorus, ensemble, Phasor, delay and Sparkverb. Rare and relatively unknown, the Voyetra Eight is not the simplest synthesizer to master - but the sounds it can create are brilliant, making PX V8 one of our most unique and inspiring libraries yet. 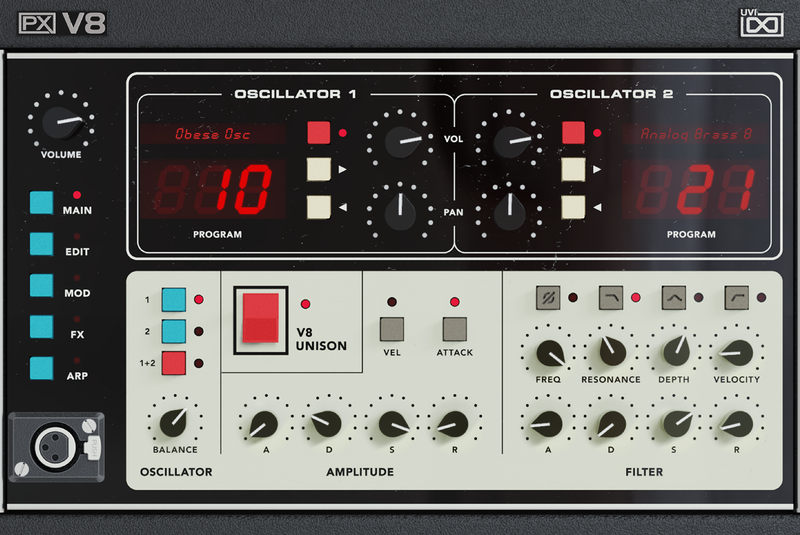 PX V8 is part of PX line of instruments, exploring the world of unique, rare and unreleased electronic and acoustic instruments. 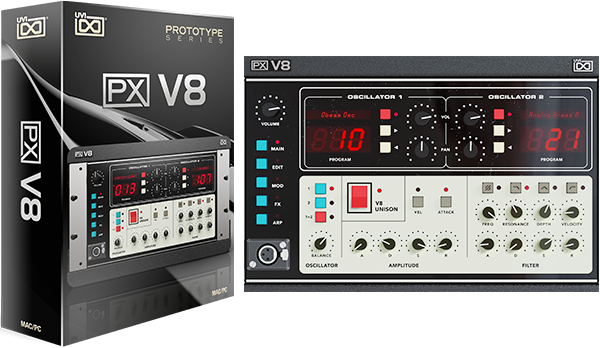 Octave-Plateau Electronics and Voyetra Eight are trademarks of their respective owners. UVI is not affiliated or endorsed by any entities listed here. 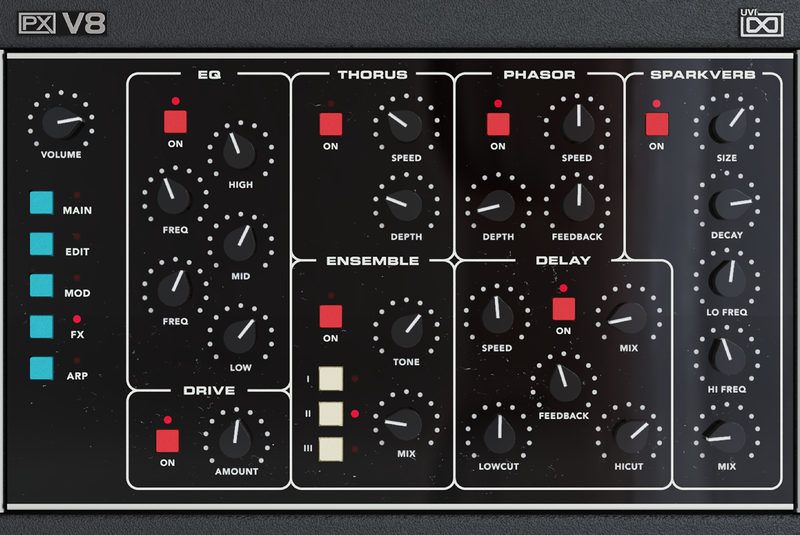 Important notice: PX V8 is inspired by the Voyetra 8, but does not represent the architecture of the original hardware created by Carmine Bonanno.